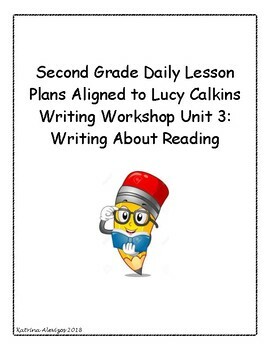 This is a collection of Daily 2nd grade Writing Workshop lesson plans based on the Lucy Calkins Writing Workshop Curriculum for Unit 3: "Writing About Reading." I created this in an effort to summarize/outline the 19 sessions in Unit 3 into quick, easy to follow lesson plans that can be easily accessed day to day. I have included each component of every session. 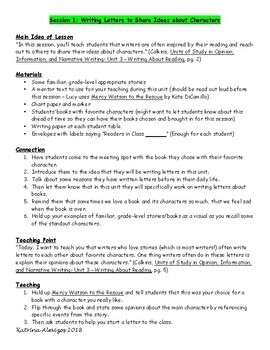 My goal was to save teachers time because reading through the narrative from Lucy Calkins in each session can be time-consuming. These plans should NOT replace the resource itself, but rather complement it and perhaps act as a refresher from year to year. 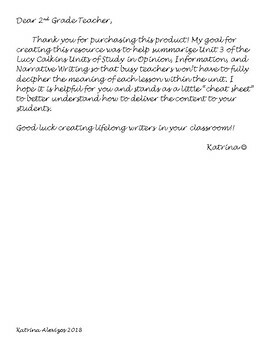 It can also be helpful for teachers who have to turn in lesson plans. 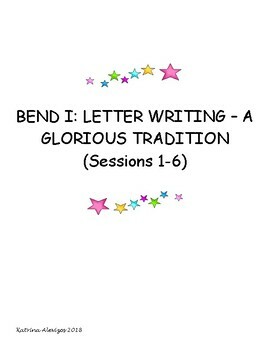 My preview is the complete version of Session 1 (consider it a freebie ;-) ). If you enjoy Session 1, the rest of the sessions in this product follow that exact format.